Once you have received an email to your Goodwin College email that your transfer evaluation is complete, you will be able to view a copy of the evaluation in SonisWeb. 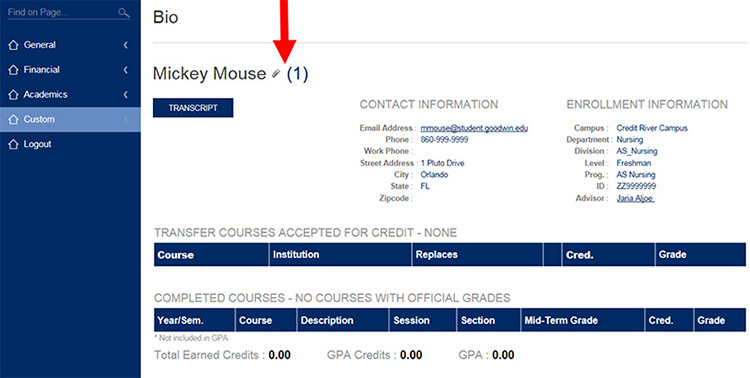 Please note this document is not updated after grades post each semester. This document is meant to be a guide for your program and for you to see which credits have transferred into your current program at Goodwin. This will open your Plan of Study to show you transfer courses applied to your current program. Please Note: This is not a live document and will not be updated each semester with final grades.